Very empathetic and caring team! Paramedics kept me calm with their humor and they worked together and were serious when they needed to be serious. Stayed and talked to me in hospital, very comforting. (16-6983; R. Buechele, M. Sparks). Professional. Your ambulance crew was very knowledgeable, professional and well trained. 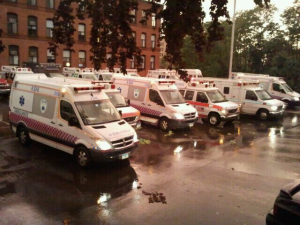 They also maintained an extremely clean and organized ambulance. (16-8400; J. Rasmussen, R. Fross). I thought your people were professional and knowledgeable. Confident. My husband had a stroke – they were very respectful of his privacy + comfort. He doesn’t remember much but does say they were very good to him. Thank you for great care. B was very good. She is an asset to your service. (16-11184; B. Sheils). Aetna was awesome, and in the past, has been incredible. I appreciate all you guys do. (16-8095; J. Platero, B. Gregorieff). Glad they came quickly. Thank you. Professional and personable and efficient. Worked well as a team. Team leader S. directed crew well. Experienced. He seemed to have lot of experience dealing with my child’s condition. 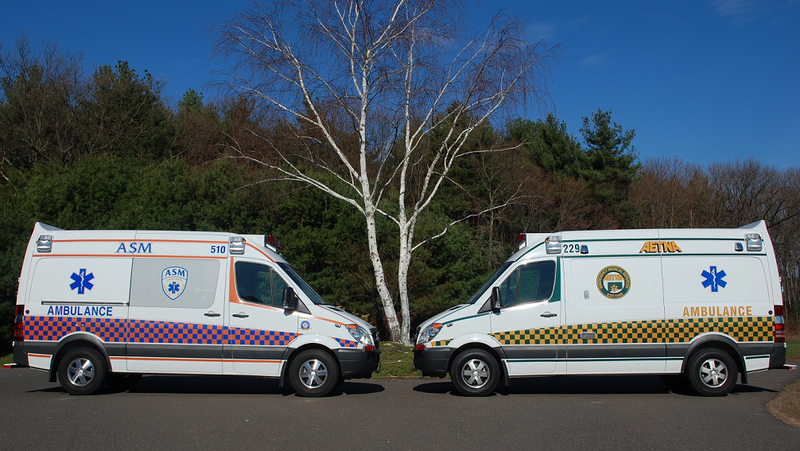 (16-13253; S. Lowe with Rocky Hill Volunteer Ambulance). I appreciate the professional way they did their work. Well trained. Thank you. (16-13234; J. Rodriguez, J. Tyree). For the first time in my 54 years, I had to call an ambulance for transport to the hospital for a severe [condition]. The paramedics, Jared and Bob, who were dispatched from the SWPD, were professional, compassionate, and skilled. They made me feel comfortable and provided top-notch care. I have never experienced anything that painful. The EMT/Paramedics not only relieved my pain, they made sure I was responding to the medication appropriately, checked my heart rate, etc. I felt the outstanding work they did was worth my response to you, even at this late date. (15-63667; M. Campbell, E. Grey). Did their job perfectly. Couldn’t ask for a better crew! Crew was very kind + compassionate. (16-1000; C. Everest, R. Grzywinski with Manchester Fire Rescue EMS). Caring & understanding of the medical situation. I’m glad I made the call for your help. I’ve called you people three times in the past and I couldn’t feel more secure each time. Thank you. (16-8061; S. Dybdahl, J. Basora). They were excellent. They also made sure my son was comfortable and talked to him the whole way to the hospital. (16-7175; M. Glazier, R. MacDonald). I was having a heart attack and the crew did a great job. I am alive because of their skill. Thank you so much! (16-4211; R. Balkun, M. Kleza). Excellent, personal care and concern. EMTs were calm, capable + very professional. Professional. I had a trainee and never knew it until talking with him in the ED. He was ready to be on his own. Excellent and caring + friendly. Considering the circumstances the EMTs were friendly and thoughtful of my needs. T. was professional, skilled, caring and attentive. I had confidence in him immediately. (16-10041; T. Wain, P. Piotrowski). The paramedic was excellent! He was kind + did everything to make sure I was safe + comfortable. (16-10524; M. Traber, C. Haag). Everyone was awesome. Made me and my wife feel comfortable + safe. (16-8665; R. Jones, W. Valencia with East Hartford Fire Department). The trip was eye opening for me, both as an EMT and a human being. Seeing the disparities between life there and what we have here is astounding. The things I’ve seen and the people I’ve met were unforgettable, and I want to personally thank Dr. Rafael Vela, Jorge Antonio Hernandez, and Arturo Pineda for having us with open arms. The level at which Dr. Vela gives back to the community is incredible and I aspire to be as great a man as he. Jorge and Arturo both provided our group with amazing insight into the Guatemalan health care system and they did so eagerly and with the warmest of hearts. Thank You. The opportunities given to us by these people were places of personal growth and understanding for me and my group. We learned so much and I’d like to think we helped some people while we were out there. Looking through the eyes of an EMT, I was very grateful for the tools and technologies available to us here in America, and although the field of emergency medical services is ever growing and developing, compared to what it could be, we are Worlds Apart. 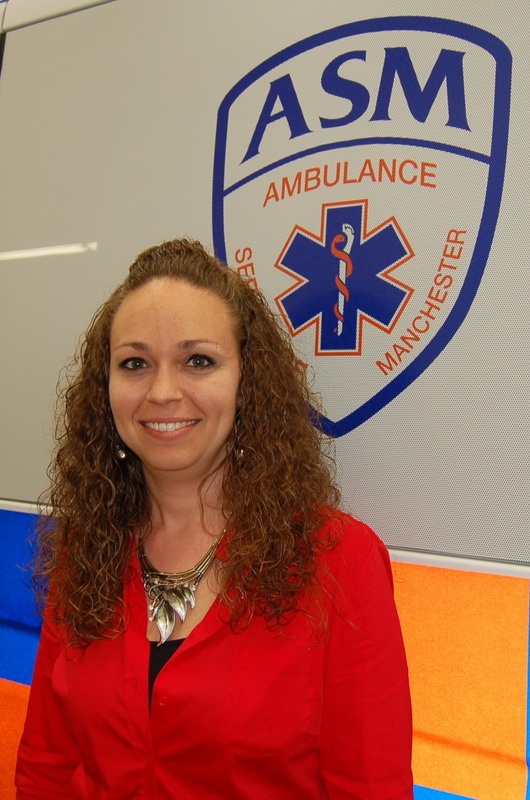 MANCHESTER — On March 9, 2016 ASM’s Jaime Decaprio was promoted to the position of Assistant Officer Manager in the Billing and Call Taking Department. 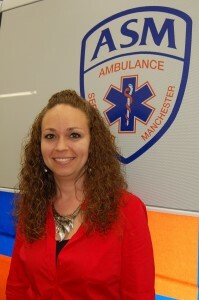 Jaime has worked for ASM since July 2000, working on areas such as bundle billing agreements for Paramedic services, Medicaid billing issues, non-emergency call taking, customer service, private insurance authorizations and much more. On behalf of ASM we would like to congratulate Jaime and look forward to more great things from her. Life savers and very professional. They were extremely professional, competent + compassionate. I could not say enough about the care I received. They were excellent! Note – H. Roy has been wonderful to work with in regards to insurance and bill. (15-93938; S. Dybdahl, B. St. John). Excellent crew and excellent service. Thank you for your help and assistance in my moment of need. I am very appreciative of your services. They were very patient and caring to my son who was scared. They kept him calm and were very friendly. (16-6054; J. Platero, B. Gregorieff). Ambulance crew was extremely polite + helpful. Your men did a great job. (16-1455; R. Bilodeau, R. Anderson). Professional – efficient – caring. I understand that the woman with me in the ambulance was from your Manchester team. She was very caring and did an excellent job in caring for me and I am truly thankful. Please forward my thoughts to her. (16-235; M. Osborne). They were outstanding and compassionate! Quick to arrive. Every one of them were great + very kind to me. Very kind, professional and empathetic. As for Guatemalan EMS, we were very fortunate to be introduced to Mr. Arturo Pineda, Chief of Services, EMT, who was a longtime friend of Jorges. Mr. Pineda was kind enough to show us their base of operations. 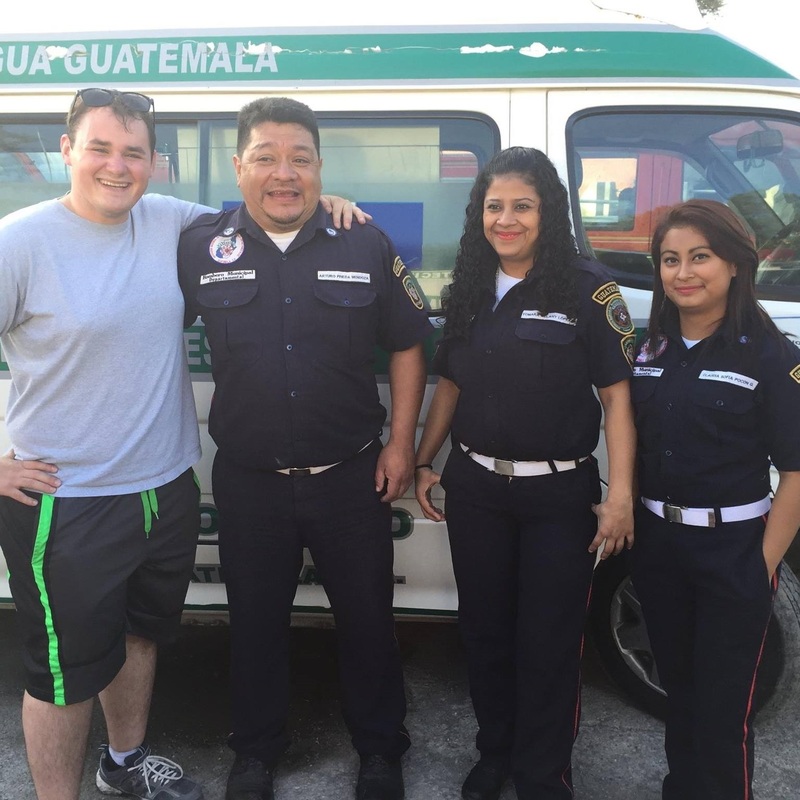 He explained that most services, like their own, were Fire/EMS, and that EMS was provided under three different systems in Guatemala. There were the private companies that catered to the wealthy, the semi-private system that catered to the elderly and special populations, and lastly there was the public system, which he operated under. The public system, although free, was extremely overburdened and having a waiting list of calls was sometimes an unfortunate reality. Mr. Pineda and his team at Cuerpo de Bomberos Municipales de La Antigua would run one or two ambulance for all of La Antigua, covering everything. It’s more understandable when you see that La Antigua’s population of 34,000 pales in comparison to Hartford’s 125,000. They had about three ambulances total, all donated from Japan from what appeared to be the 1980s. When asked if I could inspect their equipment I found an oxygen tank, a stretcher and an AED/3 lead ECG that dated back to what I’d assume was the 70s, a long ways away from what is available to us in our ambulances. The medications they are legally allowed to provide are oxygen, glucose, albuterol and epinephrine, however they only carried oxygen, the other 3 would have to be provided by the patient. It’s moments like these where you really appreciate being able to collar a patient, or having things like trauma pads and nasal cannulas. As for the paramedic level, medic positions will usually be filled by doctors, because the political and financial environment pushes them into field. Even then, whether they have any medications to give is a game of chance. This all being said, the work that the men and women working for the Bomberos Municipales de La Antigua is nothing short of amazing. 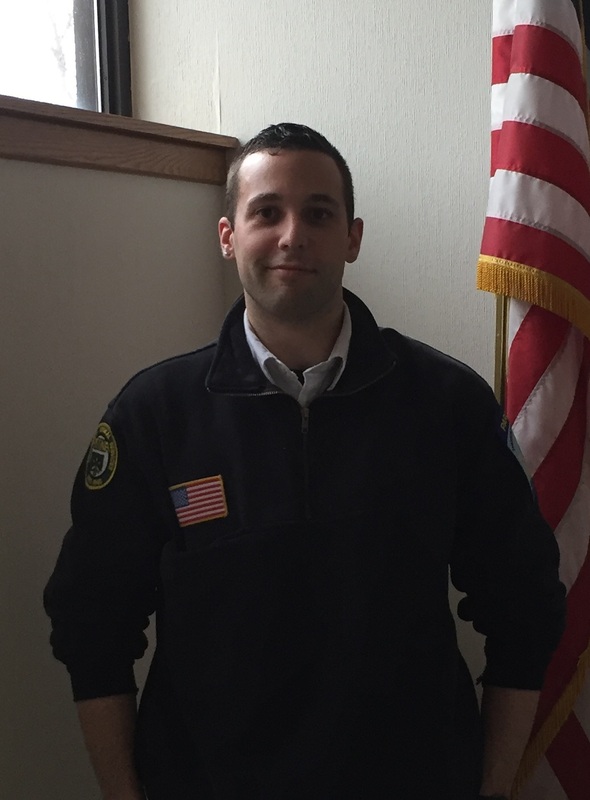 HARTFORD – As of March 1, 2016, Aetna’s Michael Bouley has been cleared by Hartford Hospital medical control for independent dispatch as a paramedic to the towns that Aetna serves. His preceptor was Paramedic Kevin Stock. Michael started at Aetna in November of 2015. 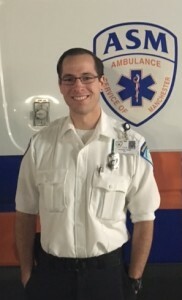 He graduated from the Capital Community College Paramedic program after studying western philosophy and sociology at Central Connecticut State University. Michael has also been a volunteer EMT and field training officer with Windsor EMS for three years. As with all precepting phases at Aetna, Michael’s final approval came from Hartford Hospital after shadowing him and his preceptor in the field as they responded to emergency calls. On behalf of the Aetna Family, we would like to wish Michael the best of luck and say we are very proud to have such skilled professionals on staff.